I’ve read the ‘excursionary’ Space Trilogy numerous times since 1992. Only recently have I been clued into the influence of the medieval cosmology which Lewis loved so much. In the past I enjoyed the book on its merits, but since, I have grown in my enjoyment of the attempt made by Lewis to let us enter a martial world in which the will stands like caryatids under the weight of necessary obedience. The translation into rhyming verse is no doubt a daunting task. It does make the poetry more esoteric, and most likely more difficult to read and comprehend. Dorothy Sayer’s commentary, however, is gold. The book is worth reading simply for her commentary on Dante. Makoto Fujimura is illuminating The Four Holy Gospels in conjunction with a project at Crossway Books to celebrate the 400th anniversary of the King James Bible. In spite of the posturing, this is for me, a merry meeting which brought together two for whom and whose work I hold dear. And to discover their meeting happened on my birthday, provides a picture for me to better understand my fragmented and sundered self. Because of these two, I so enjoy the merry wedding of language and story–of epic and symbol. These twins: Tolkein and Lewis, are my Castor and Polux–the rider of Rohan and the boxing apologist. I began Ralph Woods’ The Gospel According to Tolkein today. Many of my friends took his class on fantasy literature while students at Wake Forest University. I too am a fan. Below is an excerpt from an article he wrote on Lord of the Rings called “Frodo’s Faith” which you can read in its entirety here. Sam has discerned the crucial divide. On the one hand, the tales that do not matter concern there-and-back-again adventures — escapades undertaken because we are bored and seek excitement and entertainment. The tales that rivet the mind, on the other hand, involve a quest that we do not choose for ourselves, Instead, we find ourselves embarked upon a journey or mission quite apart from our choosing. What counts, says Sam, is not whether the quest succeeds but whether we turn back or slog ahead. One reason for not giving up, not quitting, is that the great tales are told about those who refused to surrender — those who ventured forward in hope. Heel heroism, Sam implies, requires us to struggle with hope, yet without the assurance of victory. Frodo interjects that it’s best not to know whether we are acting out a happy tale or a sad one. If we were assured oh happy destiny, then we would become presumptuous and complacent; if a sad one, then cynical and despairing. In neither case would we live and struggle by means of real hope. Sam has plumbed the depths of real hope. The “great tales” stand apart from mere adventures because they belong to the One Great Story. It is a story not only of those who fight heroically against evil, but also of those who are unwilling to exterminate such an enemy as Gollum. As Sam discerns, this tale finds a surprising place even for evil. For it is not only the story of the destruction of the ruling ring, but also a narrative of redemption. 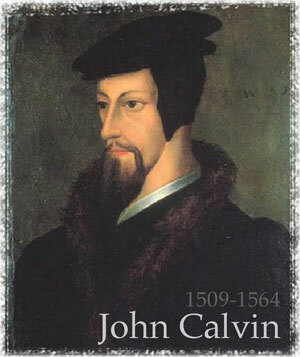 “The doctrine of this high and holy mystery of predestination is to be handled with special prudence and care, that men, attending to the will of God revealed in His Word, and yielding obedience thereunto, may, from the certainty of their effectual vocation, be assured of their eternal election. So shall this doctrine afford matter of praise, reverence, and admiration of God; and of humility, diligence, and abundant consolation to all that sincerely obey the Gospel” (WCF III.8). Lastly, Calvin defended the teaching of this doctrine by reminding us that God would not give us something that was not for our good. As the Confession states, this doctrine is for our assurance and strengthening of faith, not for the confusion and destruction of it. If it would be of help, you can watch R.C. Sproul’s lectures based on this book here. Read chapter one and we’ll discuss the following questions on Sunday. Who are the philosophers and theologians addressed? How would you define the doctrine of predestination? What questions about the implication of the doctrine of predestination do you have? What do you hope to come to learn through this study?